Silver Lake — In an era of vegan beer gardens and acai bowls, the Red Lion Tavern is definitely a throwback. Long-time patrons down tall glasses of German beer and devour sausage platters in the dark and cluttered bar. But now after 60 years in business, the owners are planning an upgrade in a bid to attract more customers in a neighborhood with numerous new places to eat and drink. The owners are seeking city permission to continue to serve a full line of beer and alcoholic drinks as they expand the kitchen and outdoor patio as well upgrade restrooms and storage areas. The Red Lion (which actually started out as a British-themed pub) also wants to extend its hours and make other improvements, like landscaping its parking lot. 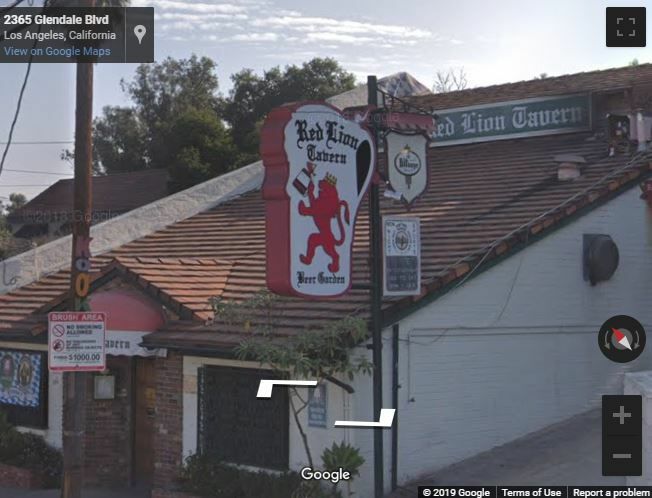 These and other changes are part of a plan to boost business, which has been sagging during the past five years, a representative with the Red Lion said at a recent meeting of the Silver Lake Neighborhood Council’s land use committee. Committee members expressed a combination of support and concern about the tavern’s plans. Some worried about increased noise as well as the impact on street parking. More meetings and public hearings are planned to review the changes proposed at the Red Lion. But not everything will change. In response to a question from the audience, a Red Lion rep said that it’s signature sausage plate would remain on the menu.